The home garden is an essential part of the house, as it reflects the taste of homeowners and gives the first impression of them. For some people, it may be the most beautiful place to sit and relax at home. And with simple steps, you will be able to decorate the garden in a way that gives you comfort and serenity. 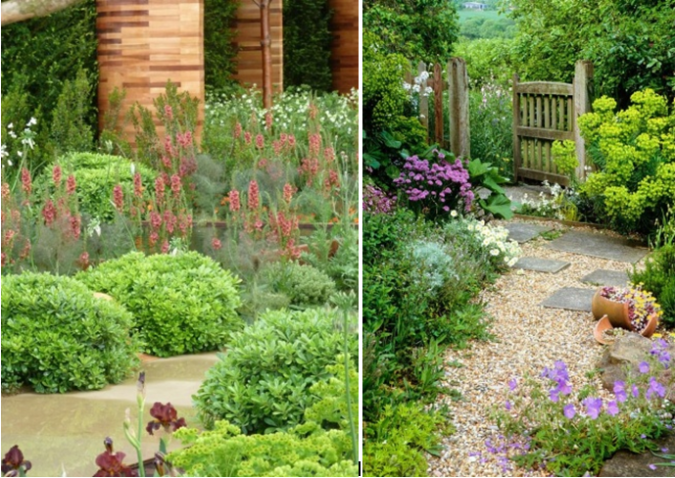 Whether you own a large or small garden, it is not a problem, the most important point is that it is a garden. 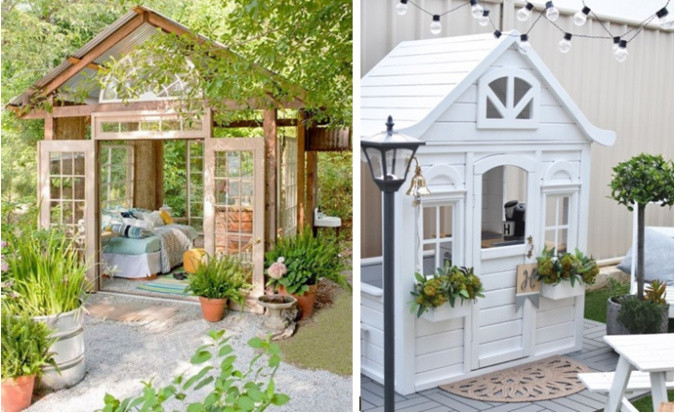 Throughout the article, we introduce you ten garden trends to help you make distinguished garden designs, and you can do it yourself. 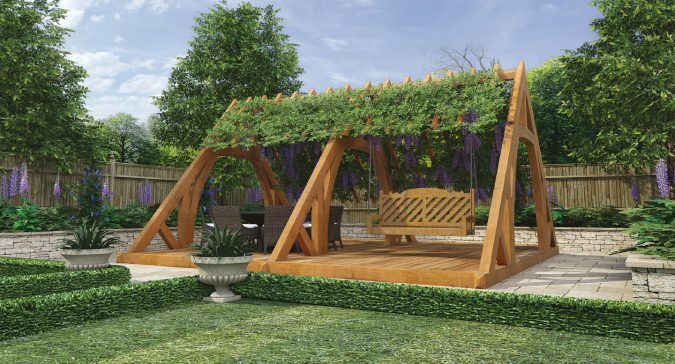 Using distinctive wooden seats in the garden is something essential, as wood adds beauty and warmth to any space, and you can make the seats from wood planks or the unused wooden carriages. You should locate the seating in a suitable place that enables you to enjoy the beauty of the garden. You can decorate it with white stones; They will contrast with the brown colors of the wood. The gravel and stones are often used in gardens and at the entrance of houses; they are employed to separate between plants or to design a beautiful pattern on the garden floor. The choice of wooden seats with white stones and the organized green plants create a vital spirit in the design of the garden and make it more distinguished. 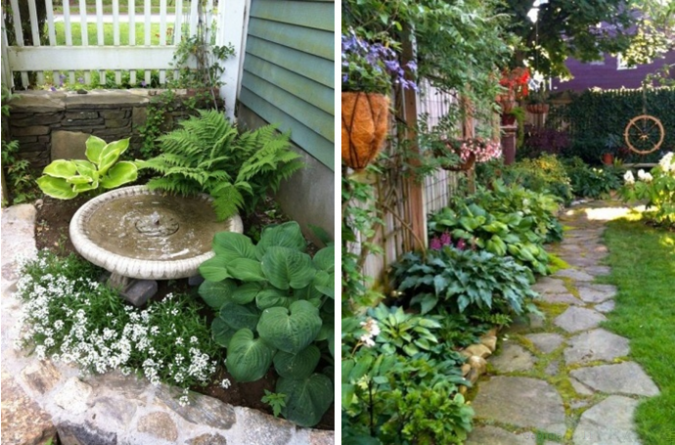 If you have a simple, small garden, go for plants of different shapes and lengths. The variety of colors and shapes attract the eye and conceal the tightness of space. Also, you can use some types of small climbing trees such as the hellish tree to exploit the side columns of the garden. Take advantage of some angles in the garden to create a special interior design. 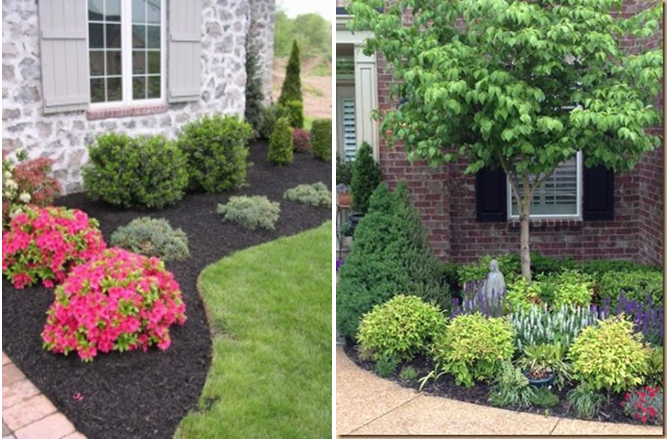 Exploiting the corners and distributing the lawn in the garden could be a source of confusion. 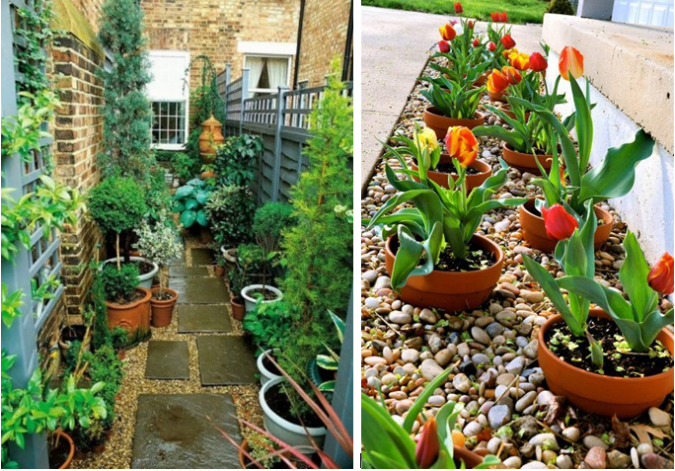 You can create a small garden inside the house with the help of the planting pots. Select the unique ones with the style and color that match your home decor. 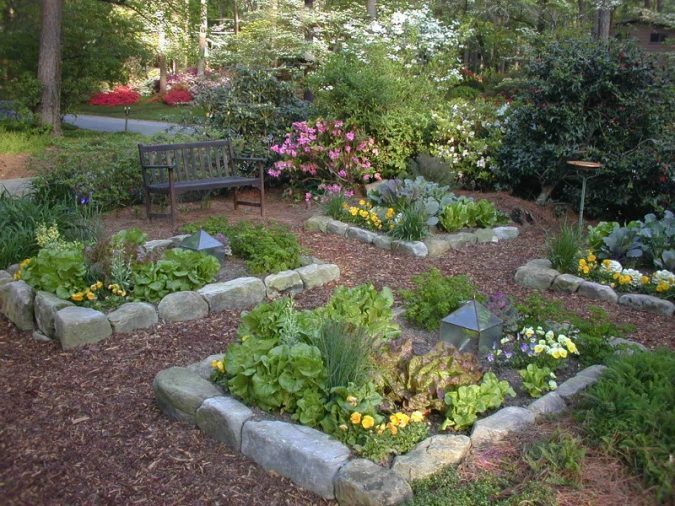 Then identify the preferred plant species, flowers, and arrange them in a square, rectangular or possibly a triangle with pieces of rock to decorate them. You can organize the pots in any prominent as shown in the pictures. Organize the pots artistically will add much to the beauty of the garden. There is nothing better than relaxing in the garden on a rocking chair or swing enjoying the good weather. Doing it, you also add a little joy and fun to your garden and decorate it. First, use the wood; If you’re a DIY expert, recycle the old furniture that left unused or buy wooden planks and a strong rope. 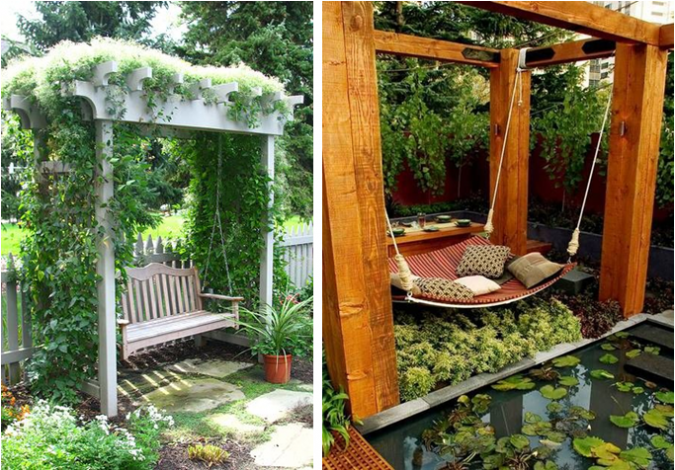 On your swing, you can spend much time in reading, meditating and enjoying the beauty of nature. Wood is great material; we cannot deny that. 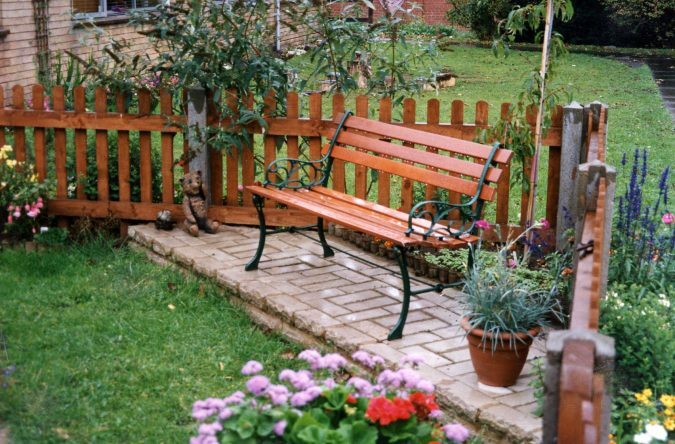 Strong wood types can be used as fences to secure gardens and facades. 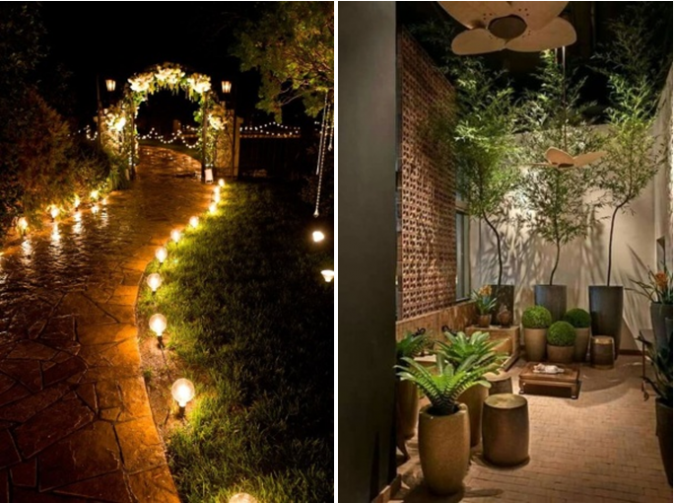 Also, use it to design a special wooden pathway for your home garden and surround the left and right sides with plants as shown in the second picture. In the third picture, the black fence is designed to ensure full privacy and, at the same time, an elegant appearance of the façade of the house garden. Small shrubs are prone to vibration and instability when there is a strong wind, unlike large trees that are deeply attached to the ground. If you have small shrubs on the sides of your garden, you can use wooden poles to install them this way. 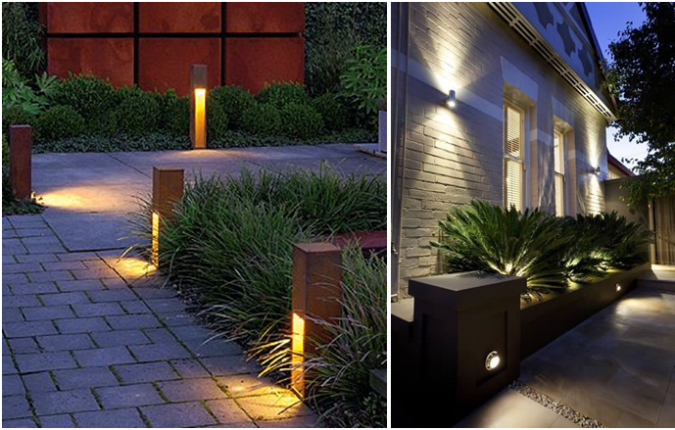 The lighting system is an essential element in decorating the garden, whether the lighting of the whole yard or distinctive areas. Wall illuminations, white and beige lamps, with green planting seeds on the side walls guarantee you charming and romantic lighting. Another way to illuminate the entrance corridor and guide the visitors is to put headlights on both sides of the corridor. 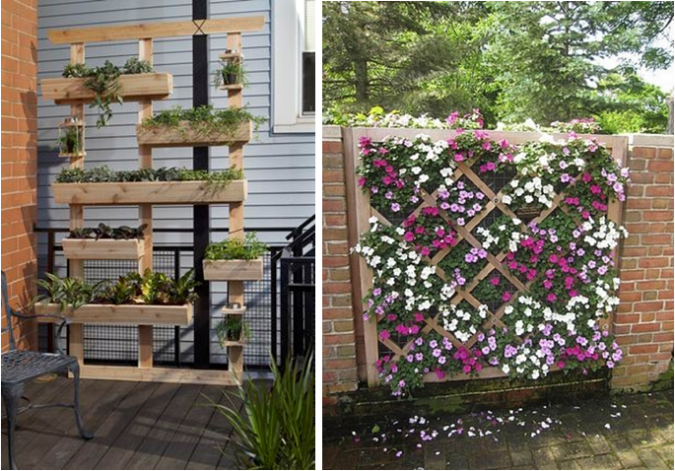 In narrow spaces, some use the wall to design a simple garden made of their favorite plants. 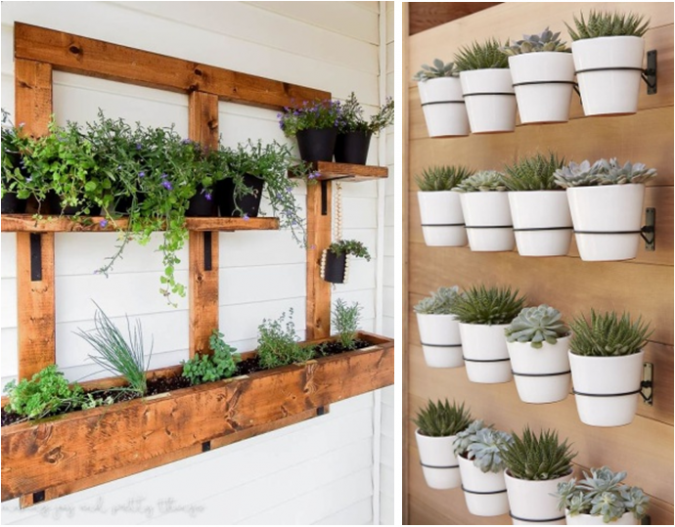 Use a wooden wall and hang utensils of plants to integrate the spirit of nature even on the walls. This trick enables you to make good use of the place; it provides you a lovely view consisted of your beloved flowers and favorite plants. Make sure plants are placed in areas that make them visible inside and outside. Wooden cubes contain a huge amount of small stones topped by a wooden panel decorated with greenery, small plants, and flowers as you can use. Surround the cubes with small stones to add more beauty to the garden. 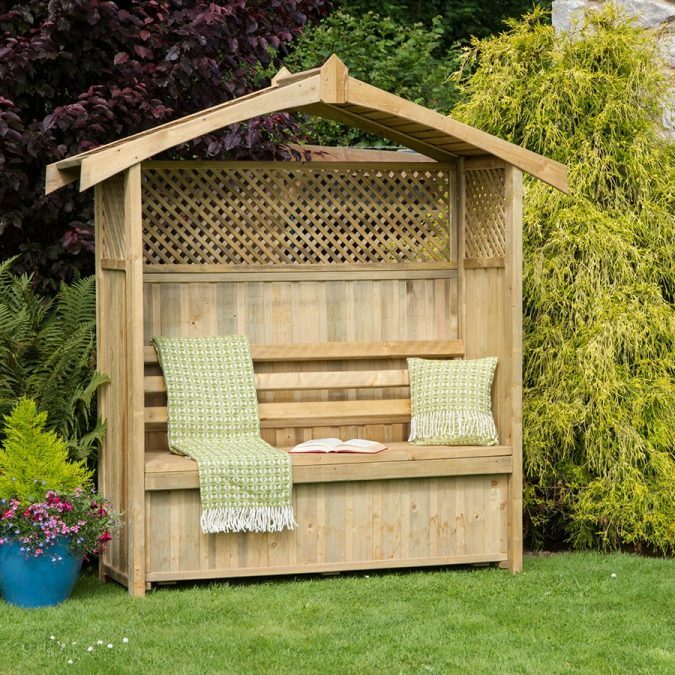 This charming classic designs add much to the garden’s decoration and provide a quiet seating area. For the house materials, you could go for wood and glass. The confluence of stones and wood creates an atmosphere of harmony where you can enjoy the beauty of the garden inside the charming house. 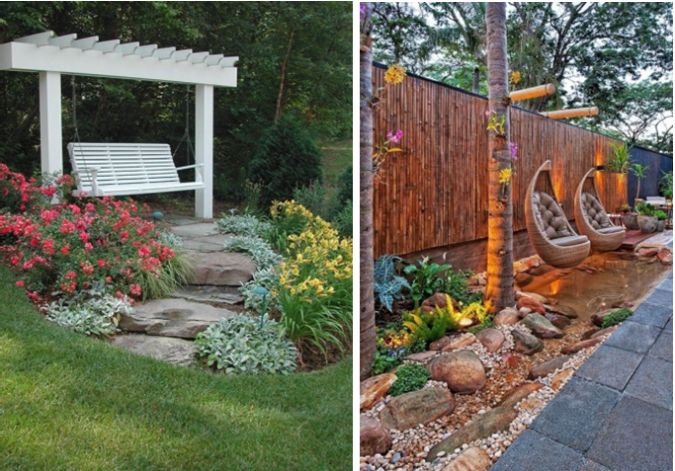 At the end of the article, we found that whatever the space of the garden is you can turn it into a masterpiece. With simple steps, you can beautify it with the best decorations. We presented inspiring ideas, easy as well as cheap, to create a wonderful home garden. 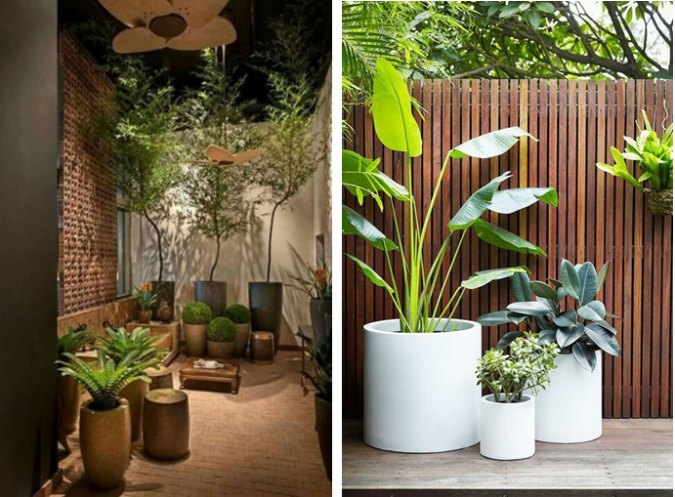 Just know that it’s not about stuffing the garden with a large number of plants; a simple set of plants, preferred flowers and a wooden seat beside it create a distinctive corner to relax. Also, the white gravel will add a warm touch to the place, and complete the charm of the garden.